Program 5.17.15: Buckeye Bearders & Cliff Original, Mid-Ohio Foodbank Empty Bowls Campaign, Juli Carvi introduces us to Forno Kitchen & Bar, Quick visit to Sugardaddy’s, Columbus Underground’s Urban Living Tour 2015. Thursday evening Burke and I met Doug and Jeremy, the founders of Buckeye Bearders, at their May Meet-Up held this month at Actual Brewing. Doug and Jeremy shared with us Buckeye Bearders welcome bearded, and non bearded, men to become members. Also, members' spouses or partners are encouraged to attend Meet-Ups, which I appreciate! Think of Buckeye Bearders as a new networking opportunity! Check out their website for more information about memberships and where their next Meet-Up will be held. Also at the Meet-Up was Jared from Cliff Original. Jared is the founder and product developer of these natural, hand made men's grooming products. Burke has been using Cliff Original beard oil, and with his membership to Buckeye Bearders, he now has the beard balm! A useful tool on Cliff Original's website is their beard care blog, where you can find useful videos showing how to use their products and also helpful reads for your 'face trophy.' Jared explained how much interaction local business have with one another here in Columbus. Friday evening, Carrigan and I attended a charitable event at her school. The seventh grade art students made ceramic bowls to raise awareness about food insecurities in Columbus. The Mid-Ohio Foodbank received donations for this Empty Bowl campaign and Panera supplied bread and soup for the event. Reading the information from Mid-Ohio Foodbank, they are able to make four meals from a $1 donation! Awesome! 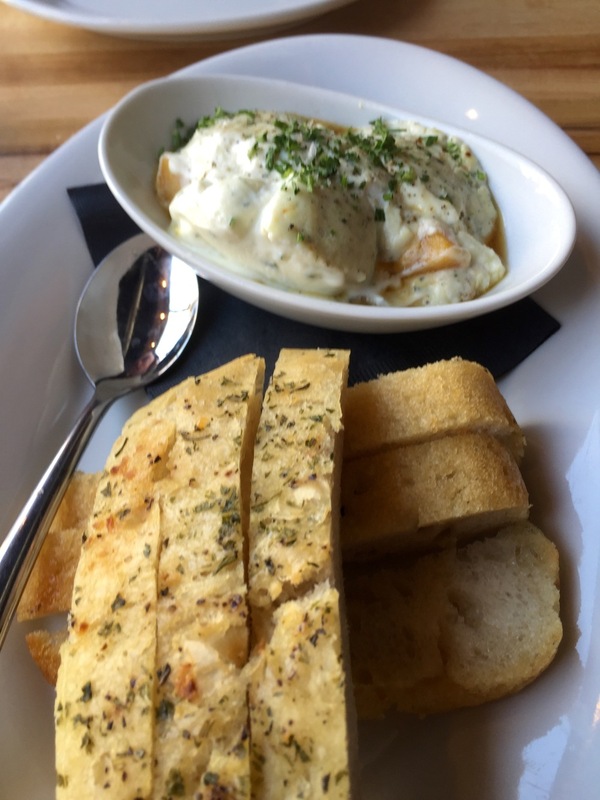 Juli Carvi introduces us to Forno Kitchen and Bar located in the Short North. It sounds fantastic and from this audio, I believe it would be wonderful if Juli could tell us all the wonderful Happy Hour spots around town! Just an idea, Juli! Saturday, Burke and I were able to make a quick stop into Sugardaddy's Sumptuous Sweeties in the Polaris area. We met Hope, and she assisted us with Pocket Change and a new T-shirt for Burke. Sugardaddy's is always a treat we love! I hope you check them out at their Polaris store or at Whit's Frozen Custard in Short North or J. Gumbo's on Gay St.
Sunday was Columbus Underground's Urban Living Tour 2015! We started at 9am at King Business Interiors location on 175 S. Third St. King Business Interiors offer two wonderful things: amazing, functional furniture and kind, courteous staff! Burke, Carrigan and I had a lot of fun looking, and sitting in, their beautiful chairs! From there, we focused on the residential stops in the Columbus Commons and Front Street locations. We viewed LC Riversouth, Highpoint on Columbus Commons, 250 High and The Julian. I included a photo of The Julian so you can see some of the historic character they saved when redesigning the old factory into residential units. We traveled north a bit to The Atlas Building located on Long St. 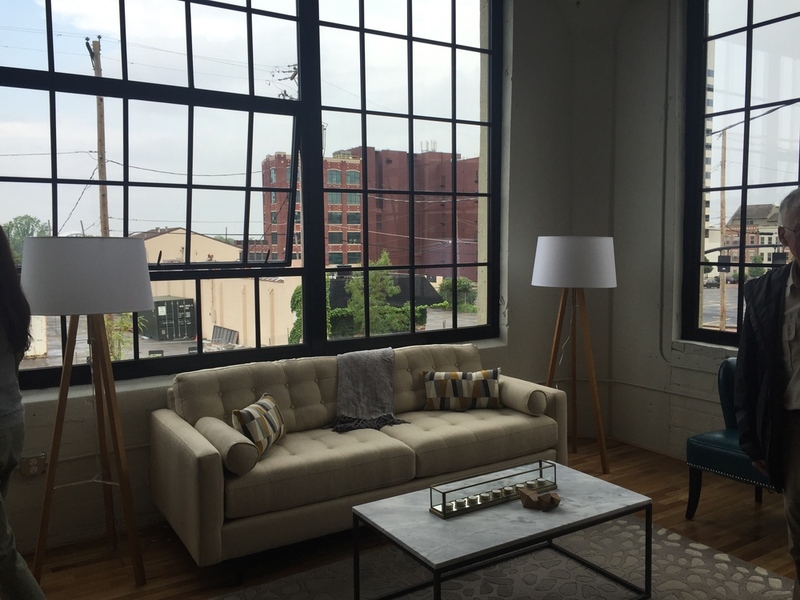 This restored building has a fantastic lobby with all new apartments. 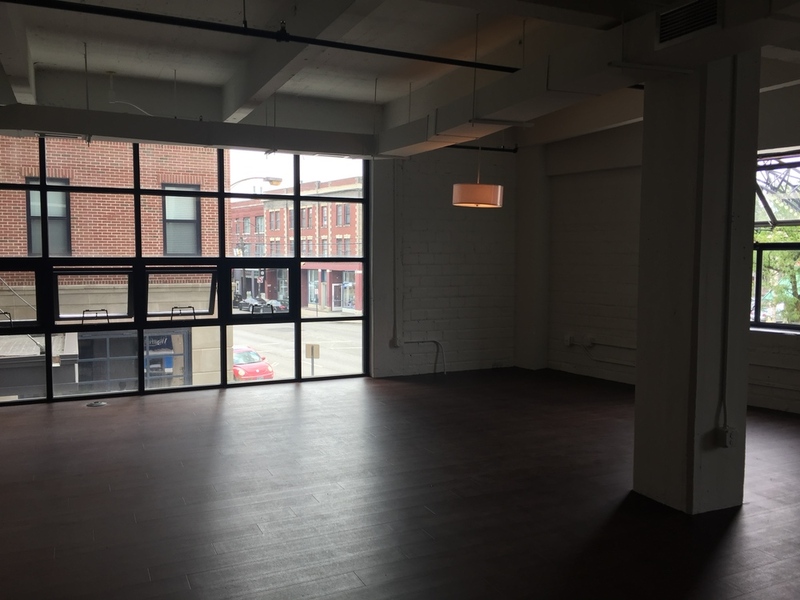 Located in the Arena District, Flats on Vine and Flats II feature a beautiful floor plan and think how close you would be to Blue Jackets games! We drove to Grandview to see Apartments at the Yard. The Grandview Yard area is booming with development... I believe Burke and I will have to explore that area further. Title Boxing was a stop along the way. Patty, the manager, was so welcoming and excited to share with us the benefits of boxing! Carrigan is now completely interested, so we may be exercising soon! East we drove to Harrison Park located between downtown and OSU. This area is a redeveloped industrial site, now clean and ready for families to move in! 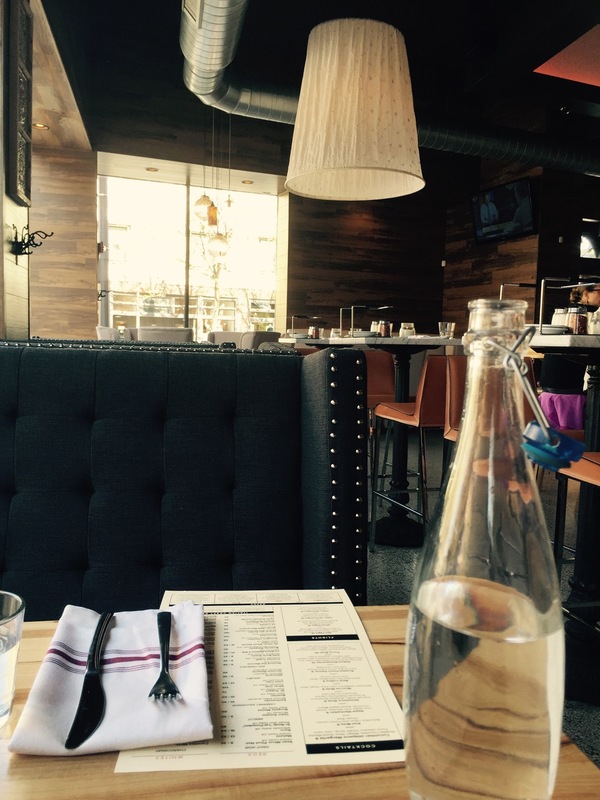 Short North was next on our list! The historic Fireproof features a variety of floor plans, some retaining the historic character I enjoy! (See photos above) The wonderful thing about this tour: every residential stop had snacks and refreshments available. This is a whirlwind tour and they knew we would need to keep up the energy. The folks at Fireproof even supplied us with the perfect nourishment: Pizza! Thank you! We were completely exhausted, thought one certain participant would not admit it, so we ended our tour in Italian Village at Jeffrey Park! This is another area Burke and I will need to visit more! And hopefully next time, I wont drive the wrong way on a one way street! Whaaatttt??? Thank you Columbus Underground for this tour! We cannot wait until next year!